On the Runway by Mark A. Redman | Fire Apparatus Journal Inc. The On the Runway column provides coverage of airport fire rescue vehicles, past and present. Authored by Mark A. Redman since the magazine's inception in 1984, the column occasionally features guest-written submissions by other authors. 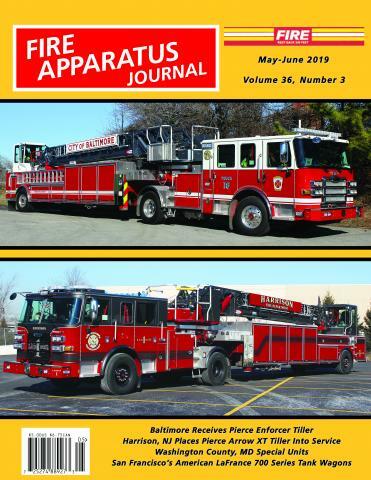 Over the years, this column has featured articles relating to various airport fire departments, fire rescue departments at aircraft manufacturing plants, vintage crash trucks, and has also covered the latest apparatus specifically built for the protection of airports and air travelers. Mark A. Redman retired in 2005 as a Lieutenant in the Bristol, Connecticut Fire Department, after a dedicated 31 years of public service. Late in 2005, he began another career in the public service sector, and now works for the Bristol Police Department as a public safety dispatcher. He has a life-long interest in fire apparatus and all types of heavy duty trucks. In addition to his photos in Fire Apparatus Journal, his photography has also appeared in many books on the subject of fire apparatus and heavy duty trucks, as well as numerous fire service and truck-related publications. He currently resides in Terryville, Connecticut with his wife, Cindy, and they have four children, Jason, Jenna, Amber, and Ashley.